This fish is a speciality from a Suburban area in Mumbai - Sion Koliwada. The recipe originated from Kolis (fisherfolk) and now it has become a delicacy and is served in various restaurants in Maharashtra. But still people prefer going to eat in the small roadside thelas of Koliwada for the authentic taste. This recipe here may not exactly be the same but it is quite close to the original one. My Maharashtrian maid prepared the marination.I was quite happy with the results.You can prepare prawns in the same way. Lemon juice .... 2-3 tbsps. Garlic paste .... 1 tsp. Red chilli powder.. 1 tsp. Garam masala ....... 1 tsp. Ajwain (Carom) powder .... 1/2 tsp. Red colour ............. 1/4 tsp. Rice flour ............. 2 tbsps. 1. Clean the fish well and make a big slit on the side and lightly on both sides for the marination.Usually small entire fish is preferable for this recipe and not the slices. 2. Mix all the ingredients (except rice flour) with salt and lemon juice and rub on the fish. (out side as well as inside)Leave it for few hours. 3. Heat oil for deep frying. Sprinkle a little rice flour all over the fish and deep fry it till done. Garnish with onion slices and lemon wedges. Serve hot. I love fried pompfret and this looks so so good, wish i could grab from my screen. 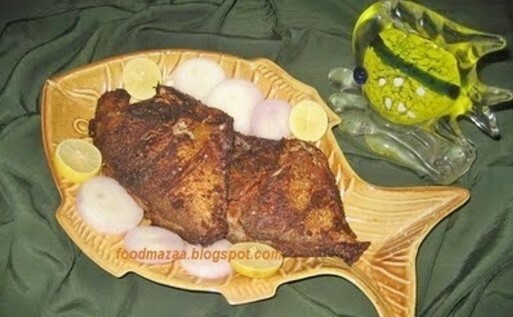 Lovely and delicious fish fry..
nice picture and recipe..marination is the key. Yes Neha.. it has to be perfect. Yes dear..The taste of the authentic one that I ate from the road side still lingers in my mouth.. can't beat that. 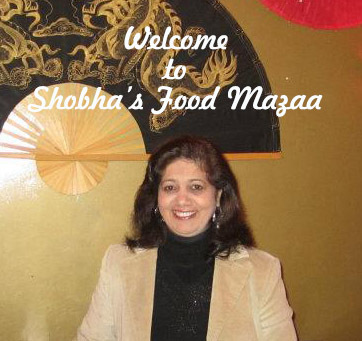 wow...yum n delicious...simply amazing..u have wonderful blog..glad to follow u..